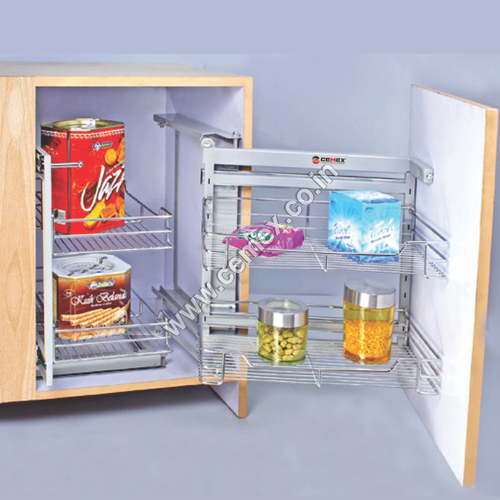 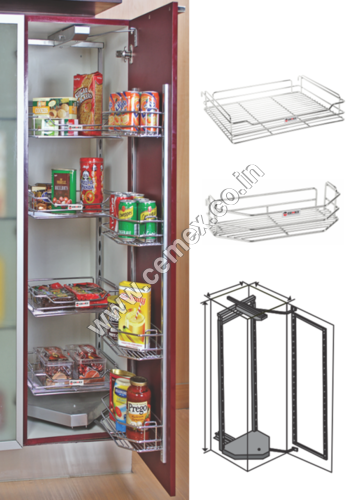 The swing corner allows an optimal use of storage in a corner cabinet. 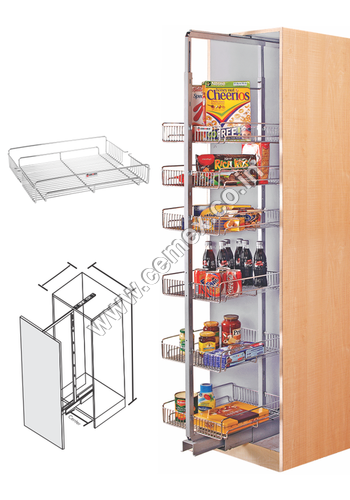 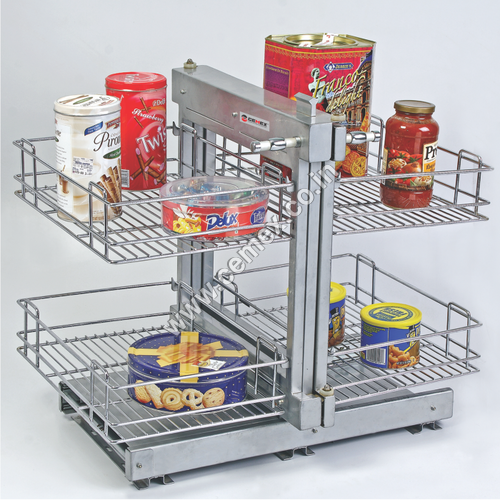 Easy Access, a dual movement swings both shelves both shelves equally within grasp of the user. 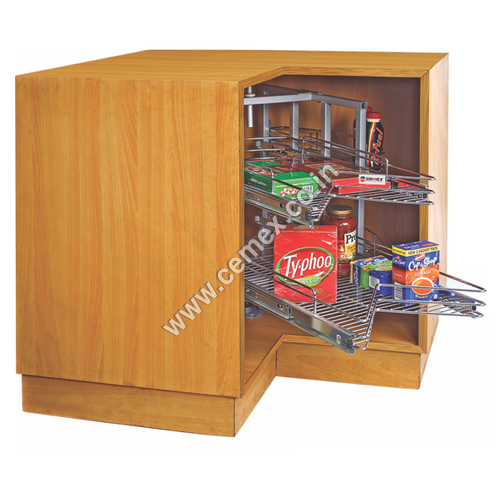 The railing of the wood shelf is available for cabinet with 9000 or 1000 mm. 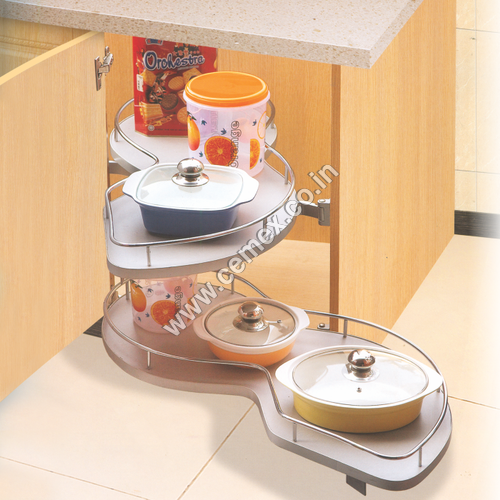 The swing corner specially developed finish is anti corrosive & avoids the metal parts from rusting under harsh conditions.